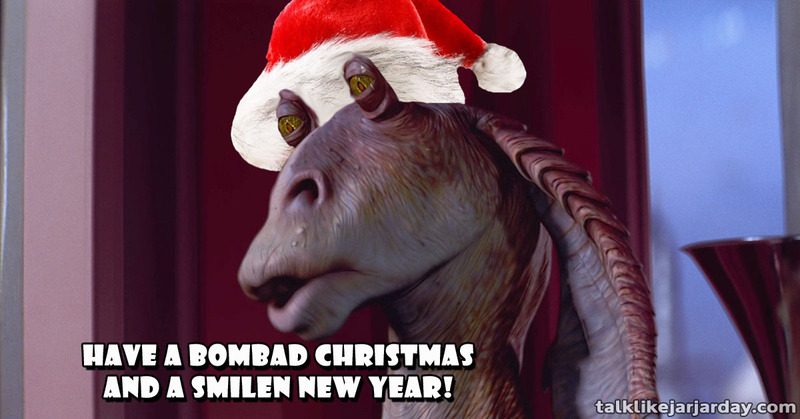 Have a Bombad Christmas and a Smilen New Year! 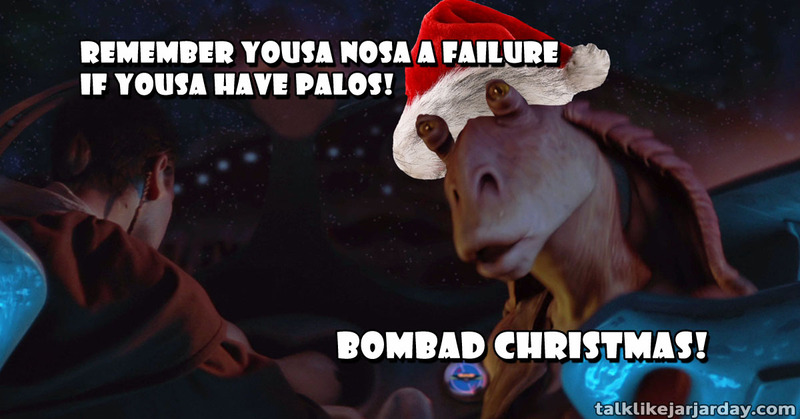 Remember yousa nosa a failure if yousa have Palos! 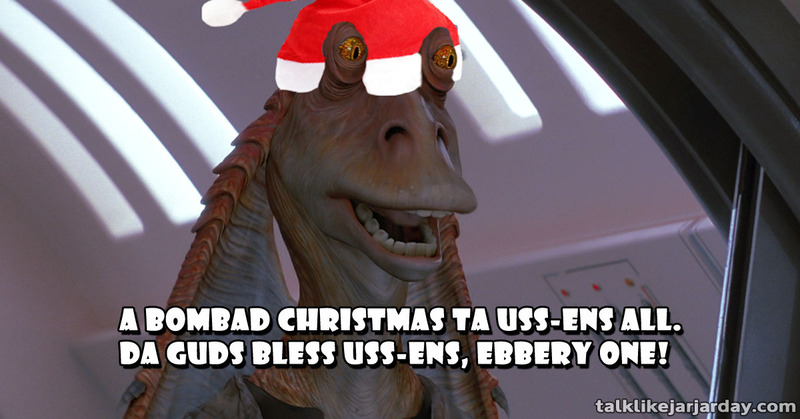 A Bombad Christmas ta uss-ens all. Da Guds bless uss-ens, ebbery one! 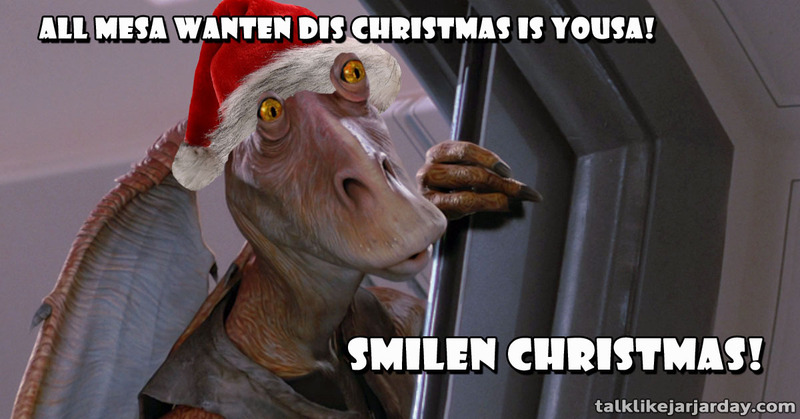 All mesa wanten dis christmas is yousa!